Offering the best Thai massage in Reading. For deep, full body, therapeutic massage there is no alternative. If you’ve never experienced traditional Thai Massage before, here’s a little info about it. Thai massage is done on a mat on the floor with the recipient comfortably dressed. 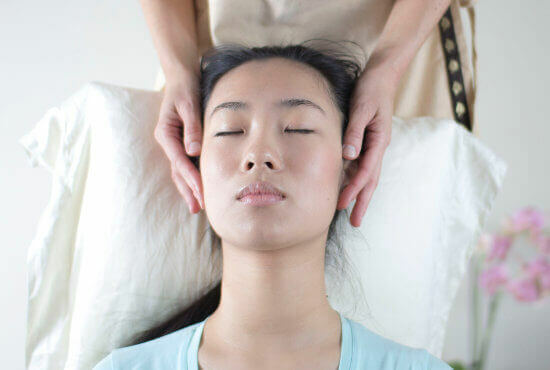 The massage is oil-free bodywork that combines compression, acupressure, stretching, pulling and rocking in order to clear energy blockages and relieve tension. Thai Traditional Massage full routine lasts about 2 hours (however adaptations are done to 1hr and 1.5hr to suit every person budget). My massage studio is based in Reading, but I also offer home visits around the Reading area for Thai massage. Offering the best Thai massage in Reading. The therapist uses thumbs, palms, forearms, elbows, knees and feet to create movement and pressure on the body of the recipient. Using their own body weight the therapist applies pressure along all energy lines that are about 2cm depth under skin. Therefore the pressure has to be rather high to stimulate the massage points and it differs from oil massage. It might sometimes cause pain (we call it “good pain”), however it will be re-energising and refreshing after. During the treatment muscles and tendons are stretched, joints are opened, internal organs are toned and once the blocked energy is released, the whole body restore health, harmony and balance.